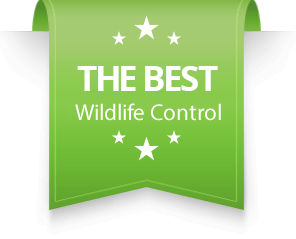 Skunk Removal - SIA Wildlife Control Inc. Skunk are mostly deck invaders, with their ability to dig the soil from underneath a deck they are the likely candidate of deck invasion. If you see a burrowing under your deck do not assume immediately that it is a skunk. A good way for a personal check is to look for hair around edges of the entry, because most of the time animals leave evidence behind. You may also obtain more information through smell or footprints. Wildlife control experts use one-way doors as a humane and safest way to remove skunks in Toronto. Imagine that you have a skunk burrowing under your shed for this scenario. One-way doors allow skunks to leave an area, but deny them reentry when they return. A technician then installs this door onto a galvanized carbon steel mesh and begins digging the soil to prepare for the installation. Then we would custom fit the mesh with the 1-way door and insert it onto the entry point which will make for a humane and seamless exit. This process would result in the immediate solution and eviction of your skunk along with a warranty for a period of 2 years. However that area would be protected for as long as it has not been humanly tampered with. Due to the tendency of skunks returning and digging in other areas of the shed, deck, or porch we offer prevention packages to our clients. Prevention allows for the closure of other areas where skunks may return and begin digging. In areas where immediate solutions and prevention is not possible trapping of the animal is the only choice. In example a skunk inside a garage where approach is not possible. When one-way doors can’t be installed for whatever reason, trapping is the only possible option. A technician must be very cautious when trapping a skunk in the baby season to avoid complications with babies dying. Skunks are omnivorous, they tend to eat what is available per season resulting in a change of diet as necessary. They posses good hearing and a sense of smell, but have a limited vision range of 3 meters (10 feet). When trapping a skunk, it’s a good idea to steer away from their vision range in order to avoid them spraying. They are excellent diggers, but they cannot climb. If trapping a skunk leave the trap at low elevation accessible by ground. This information is also useful when targeting other wildlife and not trying to capture a skunk and vice versa. As the seasons change, so do skunks, while they don’t hibernate their activities seem to reduce during winter times. In summer skunks can be found in the backyard digging up grubs and ruining grass. During winter they’re less likely to be seen outside. Skunks will have their babies in the month of March each year. Most baby removal sites are under decks, porches and sheds. Unlike raccoon babies, skunk babies do not make any noise to show their presence. Technicians will conduct a thorough inspection when performing a skunk removal in this season. 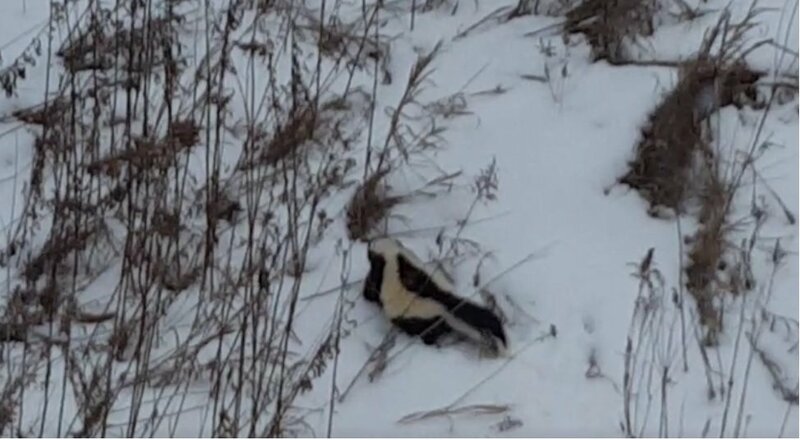 The rules of skunk removal during baby season are simple and apply to all other wildlife, babies must be kept warm near the entry point for the adult skunk to relocate them. Wildlife professionals should be aware of baby season times and be prepared to check thoroughly or postpone a removal to a later date.